I first read Henry James’ “The Portrait of a Lady” when I was in college, but reread it several years ago (one of the only “classics” I’ve ever reread) for a book club I was in. Part of me has always dreaded picking up a novel by Henry James because his style is so dry with complicated (albeit beautiful) sentences that demand a lot of concentration. On my second reading I thoroughly enjoyed revisiting James’ story about Isabel Archer who travels to Europe while batting away suitors, becomes an unexpected heiress and marries the wrong man. So I was fascinated to hear that one of Ireland’s greatest living writers John Banville wrote a sequel to James’ influential novel. “Mrs Osmond” picks up on Isabel’s story immediately after the end of “The Portrait of a Lady” where she’s gone to England to be beside her beloved dying cousin even though it’s against her husband Gilbert Osmond’s wishes. It’s entirely ambiguous in James’ novel whether she’ll return to her domineering husband, but Banville gives the answer in this story. But, more than resolving a plot point, this novel is a moving meditation on the meaning of personal independence. Banville does something really clever and fun near the beginning of this novel. He writes about Isabel dining alone in London and how she becomes aware of a man across the room staring at her as if she were a portrait. Banville writes Henry James in to his story in this playful way and once she leaves the restaurant its like she’s been liberated from his authorial control: “It was as if she were an invalid making her feeble way over difficult terrain, who had found suddenly that a hand that had been sustaining her for so long she had ceased to notice its support had suddenly been withdrawn, leaving her to totter alone.” This is an ingenious post-modern trick as if the character has been granted independence - but, of course, it’s not really true because now James’ heroine has been absorbed into Banville’s artistic vision. Nor does Banville try to liberate the story from James’ oracular style of writing which closely imitates The Master. His assimilation of James' manner of writing is an impressive feat, but also somewhat detracted from the experience for me. 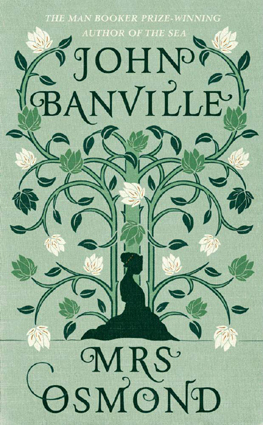 Banville’s typical prose are exquisite and, given the choice, I’d rather read a novel of his over Henry James. But this book is more James than Banville. When I read his last novel “The Blue Guitar” I noted how parts of it distinctly reminded me of Samuel Beckett; so although Banville is incredibly talented maybe he’s more like a talented mockingbird. However, I’m extremely glad I stuck with the density of prose in this novel for both the story twists and the way Banville expands Isabel’s character in a more dynamic way. 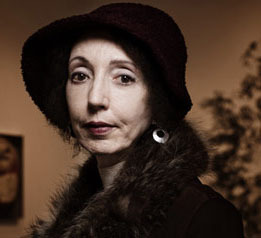 Often where the story really shines are in the brief insights into Isabel’s character made by other characters particularly the rambunctious American journalist Henrietta Stackpole who remarks at one point “Oh, I know you, Isabel Archer. The most monstrous ghouls might parade before you, clanking their chains and keening, and not a hair on your head will turn, but set you square in front of a looking-glass and you will start back from your own image with piercing cries of fright.” This is funny and there are some great bits of social humour in this novel especially in the way Isabel tries to awkwardly befriend her maid. But Henrietta also gets to the heart of Isabel’s real dilemma: not whether she should remain with her husband Gilbert Osmond or choose another suitor, but the degree to which she can escape the image she’s built of herself and pursue what she really wants in life. Banville provides some clever turns in the story which had me gripped to discover what happens. 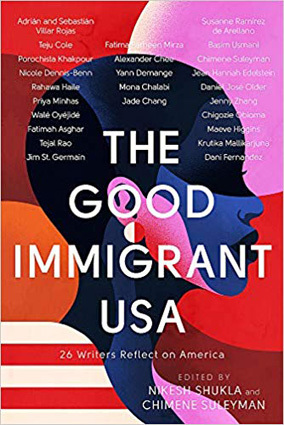 It takes a lot of courage to follow in Henry James’ footsteps and there are few writers such as Alan Hollinghurst and John Banville who are talented enough to do so.